Sunn Sonaro with a crushing 585V at the power tube anodes. Just has one 12AX7 for the preamp, a 6AN8 phase inverter and two KT88s for the output in an ultralinear arrangement like so many of the old Sunns like to do. I recapped it for reliability since it is a studio amp. It was all original from 1971, seemingly untouched and still working good. 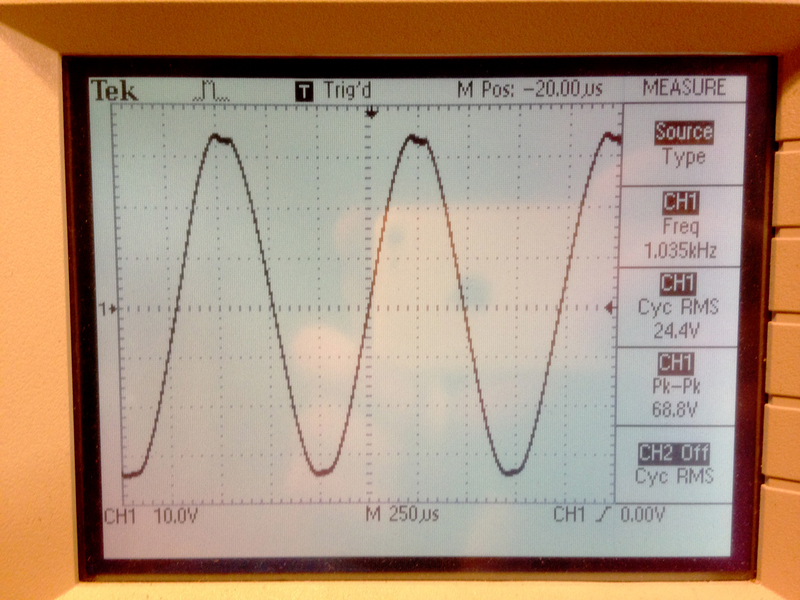 Crushing it doing 24.4V into 8 ohms for 75W at clipping. 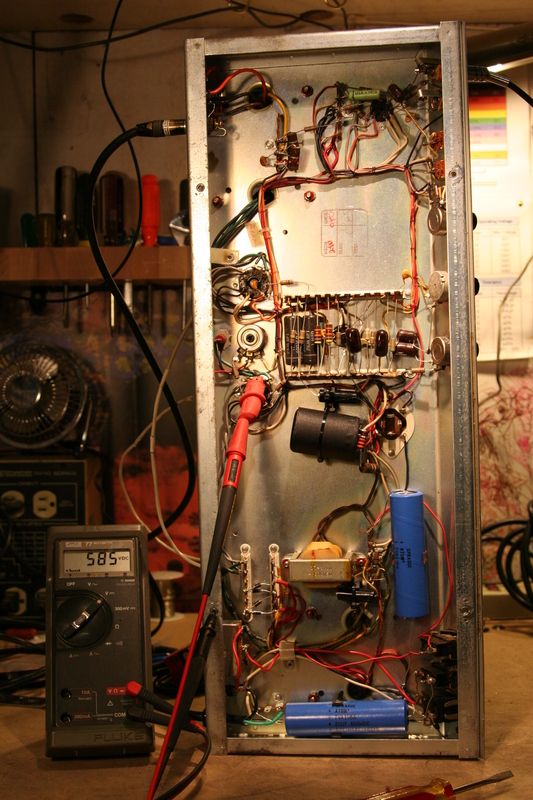 Solid state rectifier and big plate voltage help it get a good amount of power out of two 6550/KT88s. Keeping it simple with just a few knobs. Turn them all up and it sounds nice. Come rock this thing at Bricktop. This is not the right schematic since it has a tube rectifier and lower power supply voltages compared to the Sonaro pictured above. 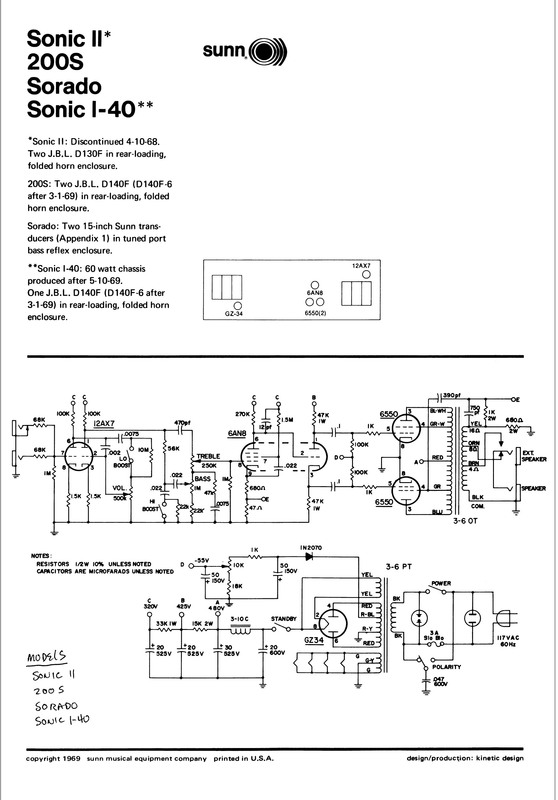 I have not verified this through and through but the preamp, phase inverter, and output section all seem to be the same though. 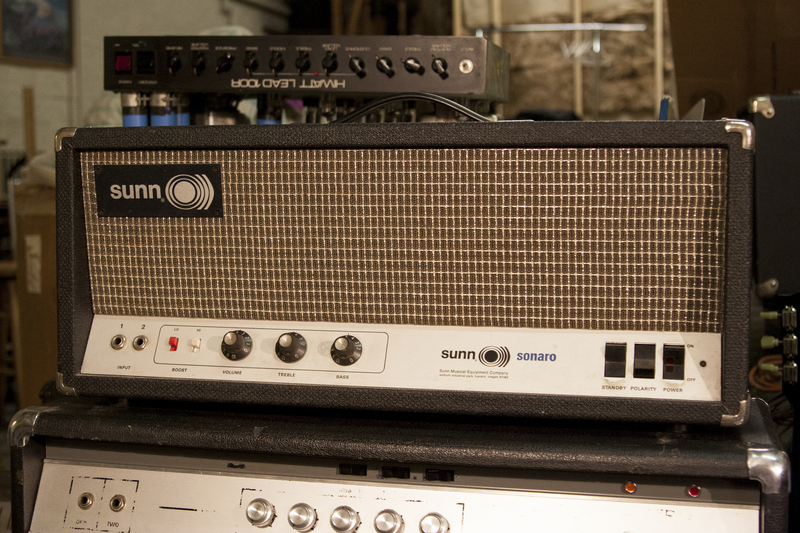 Check out the Sunn 200S in the following post. It also doesn’t match this schematic.